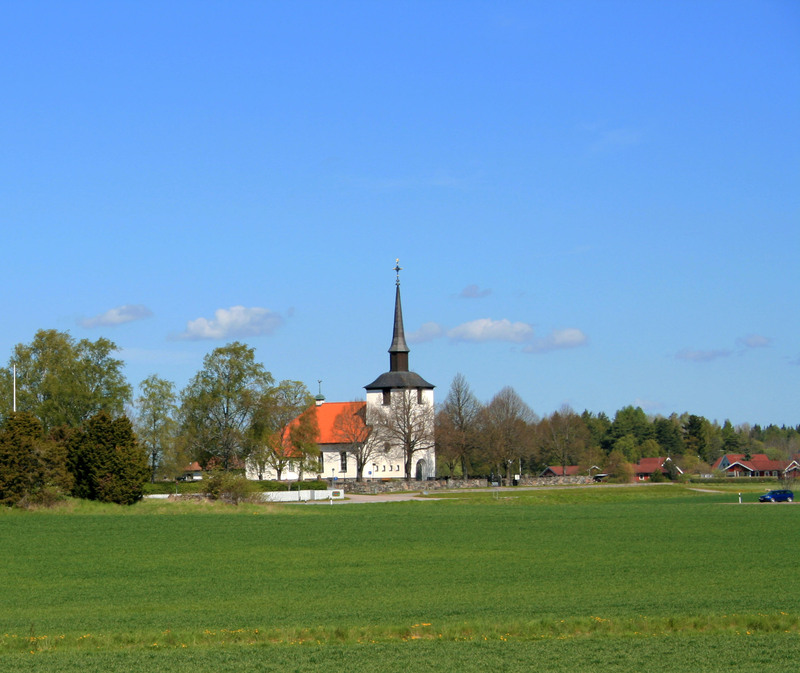 This church is the third known on this location about 10 km outside of Uppsala. The first here was probably built during the 1200’s and expanded through the Middle Ages. Lime paintings were added during the 1400’s. That church was deteriorating and, at the end of the 1840’s was pulled down. A new church in Karl Johan style was completed in 1846. Many of the original medieval artifacts from the first church were transferred to the new ones. In 1914 the second church burned beyond repair, however some of the medieval inventories were saved. The church seen today was built in 1925 – 1926 according to traditional medieval model designed by Sven Brandel. There are differences from traditional medieval orientation with the choir in the west and the tower in the east. The tower hood with its curved slope of the roof and tall spire has a 1700’s character.